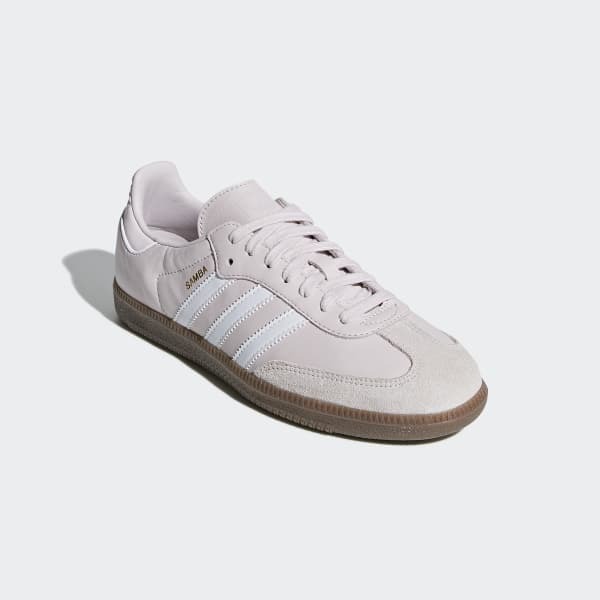 Authentic Samba sneakers with a full grain leather upper and suede details. Timeless and unassuming, the Samba is a revered classic that's stayed in style since its 1950 release as a sneaker designed for sure-footed support on icy turf. When soccer players took the low-profile look to the streets, a footwear icon was born. Built with luxe materials, these shoes show off the original design lines. The supple full grain leather upper features suede overlays and the signature T-toe.